An additional charge of the unauthorized use of personal identifying information was dismissed, according to court records. Krenz was a former caseworker for the Spirit Lake Tribal Social Services until she was fired in 2011. 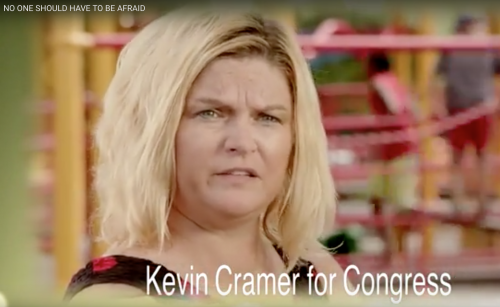 She made national headlines about her work, including a 2014 campaign advertisement approved by newly-elected Senator Kevin Cramer. She also spoke at a congressional subcommittee involving Cramer, reportedly bragged about her relationship with then Congressmen, and with Ben Carson, the United States Secretary of Housing and Urban Development in President Donald Trump’s Administration. Krenz was also nominated for the 2017 L’Oreal Paris Women of Worth Award, but was not selected. Although Krenz pleaded guilty, she did not take full responsibility for her actions, Autym Burke, one of the victims, said. Burke, from Oregon, is the one who discovered Krenz’s deception. After months of waiting expectantly for a new child, she contacted the mother of the child she was supposed to adopt and realized the adoption proceeding was a farce. The child’s mother whom Burke contacted is named Jodie Blackboy, and is a registered member of the Spirit Lake Nation. Before the scam was unveiled, Burke named the baby intended for her Ruby. Blackboy’s daughter’s real name is Julissa. Blackboy said she trusted Krenz for years, and never knew the woman was trying to steal her child away. Julissa, who is now 20 months old, is healthy and “growing like a weed,” Blackboy said. Later in life, she, as a mother will have to find the appropriate time to tell her child a scary story about how she almost lost her, she said. “I’m glad I can close the chapter and start the healing process again, and just move forward,” Blackboy said. Burke testified in court Monday morning by telephone, she said. Her flight back to North Dakota was cancelled due to inclement weather. “I heard Betty Jo speak, and I got to tell our story,” Burke said. “We thought our purpose in this was to adopt a baby girl. Sadly that was not the case. But The Lord allowed this to happen and I believe it was so that we could be used as a tool to expose her. We fulfilled our purpose in this by stopping her from victimizing others. In that I’m very grateful. Krenz’s daughter, Amber Schulz, posted to Facebook that the sentencing of her mother meant that she could finally get her life back. According to Schulz, Krenz received five years imprisonment, one year suspended, and an additional 30 days in county jail with 18 months probation. Defense attorney William Harvey Skees was contacted for comment, but did not reply. Prosecuting attorney Dana Marie Sims said justice prevailed. "Betty Jo’s pattern of manipulating and scheming people for years culminated when Judge Cherie Clark sentenced her to four years’ imprisonment due to her lengthy criminal history and the emotional, financial, and mental devastation she caused to the victims in this case," Sims said. "This was a just verdict." Southeast Judicial District Judge Cherie Clark presided over the hearing. Krenz was also found guilty in 2012 of forgery or counterfeiting, according to North Dakota Court records.